How much do you know about on page SEO? Did you know that a well optimized webpage can do more than hundreds of links to that very same page? Most people don’t realize how much on page SEO will benefit them and their webpage and that is why they never do it. Trust me on this one, if you want every one of your pages to rank for a certain keyword, then you have to put in the necessary effort or it will never happen. One of the things that I know about on page SEO is that every little thing counts, not just the inbound links to that page. By this I am talking about keyword density, title, title tags and even interlinking web pages. Now, these are very important but there are still other things that people don’t use that I want to address right now. One of the things that you will notice right here is that I am using H2 and H4 tags. I am using the H2 tag on the subheading and the H4 tags on the bullet points. The reason I use these is to make sure that the page is easier to read but mostly so that Google and the other search engines look at these keywords to help theme the page. The reason I say theme the page is because you want to show that you are talking about more than 1 thing and if you can do that then you will get a lot more traffic from long tail keywords as well as your targeted keyword. How often do you add pictures to your blog posts? If you are writing something and not adding any pictures, then you are wasting your time. The reason why you need to add some pictures to whatever it is that you are writing is because you can add a title to that picture which will help with your on page SEO. What I recommend is that you give your pictures the exact same title as your main keyword. The reason you do this is because that picture will help the search engines know what your page is about. Do you have a system that you use to place your keywords in the right spot? Most people don’t know what I am even talking about, but what you need to understand is that Google will rank pages with keywords higher in the article and lower in the article. It is because of this I highly recommend that you place your main keyword in the first paragraph of the article, the last paragraph and once every 150 words. If you can do this you will see how much better your pages will be positioned once ranked. Now if there is one thing people don’t do enough of, it is this. So why would somebody create a link back to the exact same page? The reason you should place a link to the same page you are on is because this will increase the SEO benefit of that page. All you have to do is place the link towards the bottom of the content using the anchor text you want and then you are done. It is a simple move that gurus have been using for a while now and you need to use it too. As we both know, there are no easy ways to getting ranked on the search engines but there are some shortcuts and that is what I am giving you. If you want to see every one of your pages ranked for some keyword, then you need to follow these on page SEO techniques that I have laid out for you. If there is one thing I know about link building, it is that it all starts with your website. This is a guest post by Warren Wooden. Warren is the owner and CEO of PLR Internet Marketing. If you’re an entrepreneur, or would perhaps like to learn how to make money online, through internet marketing, blogging, or affiliate marketing, please stop in for a visit, or to grab your free copy of his 79 page e-book. 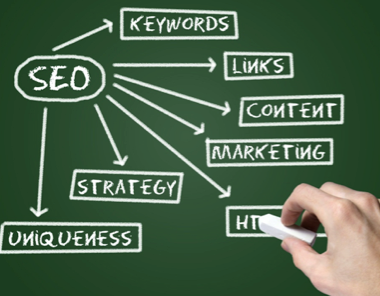 Share your comment 2 responsesTO On Page SEO Tricks Most People Never Use. Nice work John. This is a great site you have here. Thanks buddy, glad you like it!